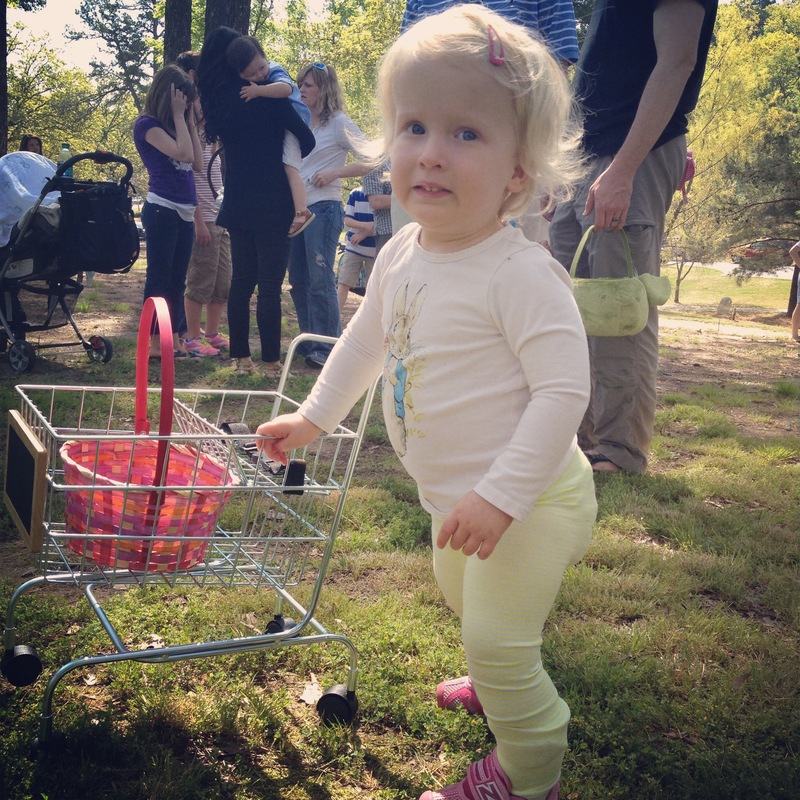 #spinabifida mom tip: a small shopping cart makes an excellent mobility tool at an outdoor Easter egg hunt. If you read my Twitter bio, you’ll notice that among the facts about myself I chose to include in my scant 140 character allowance, I use the phrase #spinabifida mom. This means my feathers were somewhat ruffled last night when someone I follow (and like! 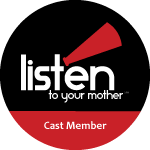 ), whose baby has recently undergone surgery, expressed bewilderment that some moms choose to identify themselves through their children’s illnesses. 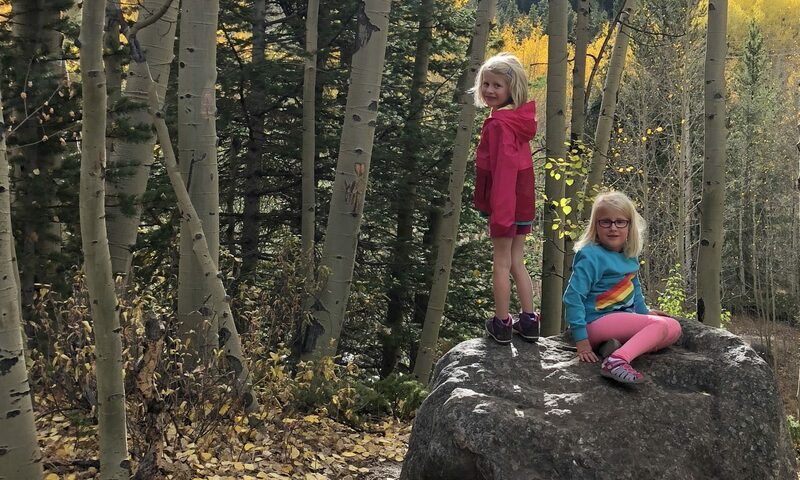 For one thing, my daughter’s disability is not an illness. It’s not something that we can treat and eventually put behind us. It’s part of who she is and has been since long before she was born. It has shaped our lives in many ways up to this point, and it will be a defining (note I said “a” and not “the”) factor in the rest of our lives. Spina Bifida will mean more surgeries. It will mean more therapies. It will mean doing many day-to-day life processes differently. It will mean concerns about the accessibility of public places and the adaptability of certain activities. It will mean advocacy and activism and acceptance. It’s just a fact that it’s a huge part of Claire’s life, and, because we are her parents, ours. OF COURSE, it’s not the only factor in our lives. OF COURSE, much of our parenting journey isn’t any different than anyone else’s. But it’s there. Just like the fact that we have twins is there, too, making our lives just a little different in a way that only those who have had multiples can ever quite understand. And yet, no one’s ever going to give me a hard time about #twinmom. The thing is, despite my usual stance that “Internet friends are real,” the truth is we do some things differently online than in “real life.” I have #spinabifida mom in my Twitter bio, but it’s not like I have it tattooed on my forehead. In real life, Spina Bifida might never come up at all in conversation when I introduce myself to someone new. Other times, I awkwardly drop in in, not sure how to break the news to someone new. And other times, it’s just something people ask about– when they find out I have twins, and they see me out with just one kid, they tend to wonder where the other twin is, and then I get to explain that she goes to a developmental preschool because she has Spina Bifida. But online, I’m networking. I write a lot about Spina Bifida, I read a lot about Spina Bifida, and I like to connect with other folks dealing with the same things. By putting it in my profile, and also by hashtagging my photos, I can find other families who also inhabit the world of SB. I have truly found people I consider actual friends through #spinabifida on Instagram and Twitter. Does this mean I define myself or my daughter through Spina Bifida? Nope. It’s just one huge part of our lives. Like my heart defect is. Like our twins are. Like my husband’s job as a pediatrician is. Like our faith is. Like our culture is. Like the fact that we eat kind of a hippy dippy diet is. All of those are reasons I might also like to connect and find others online too, which is why I also use many of those facts when asked to define myself in some small box on a profile. In life, you might find those facts out rather piecemeal, slowly, as you get to know me through several conversations, but online, where I’m looking to attract and find things I’m interested in? Well, there you might just meet me as a #spinabifida mom. I love this. Thanks for writing it. Our disabilities don’t define us, yet they are a part of our stories. Theirs and ours. When we listen to theirs, they listen to ours.